As residents of the Canyons we know wildfires are a risk. Protecting yourself and family during a fire is always the number one priority, but there are a few things you can do to protect your home and property as well. 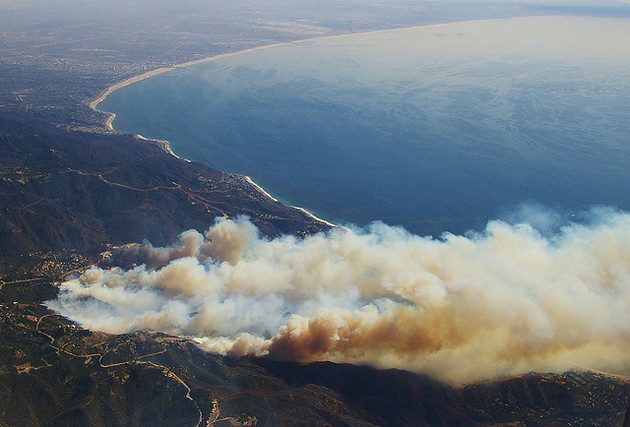 During dry months, this website from the Topanga Coalition for Emergency Preparedness provides updated fire-risk alerts, so you can determine the fire danger level. T-CEP allows you to set up text notifications for yourself and your family so you’re alerted should a fire occur. Teach your children about fire safety, and make sure everyone knows how to use a fire extinguisher. If you see or smell smoke, prepare to evacuate or use your fire preparedness plan (see below). Plan escape routes from your home – by car and by foot – and have a designated meeting area. Topanga has determined various locations to meet. This list can be viewed here. Public Safe Refuges are where to go if you’re unable to evacuate due to traffic or road closures. A Temporary Refuge Area is a smaller, usually open area that has also been deemed a safer alternative to remaining in your home, and that is to be used only if you are unable to make it to a Public Safe Refuge. 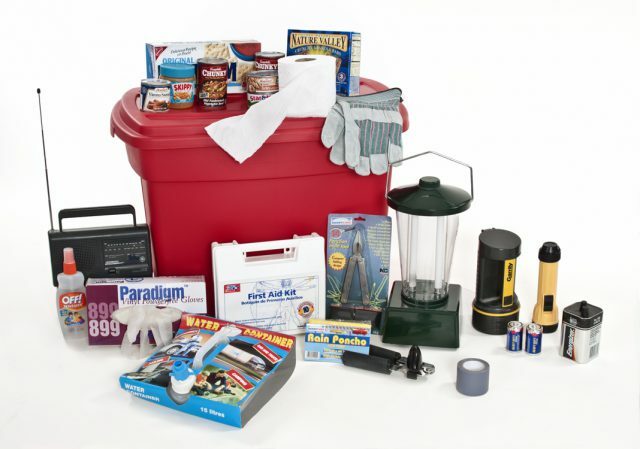 You also need a plan, supplies bag, and safe destination for your animals. 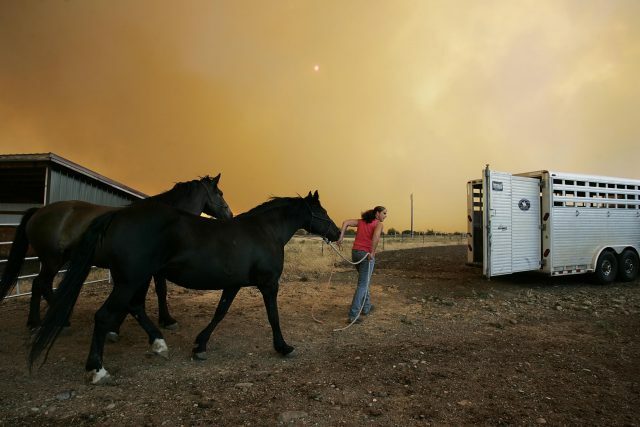 If you have horses, make sure you know what to do with them during a fire. First, examine your horse facility to make sure it is always organized and any flammable materials are kept away from the building (that includes feed, hay, and manure). Keeping your stables clean is a good precaution. Use fire safe equipment for your horse. Practice tying your horse to a pole for extended periods of time, which you might need to do to keep them out of a burning barn. Make sure to practice loading and unloading your horse in your horse trailer, and practice hooking up the trailer in the dark. Be sure your trailer and tow vehicle are maintained and have at least a half tank of fuel. Use fire-resistant or noncombustible materials on the roof and exterior structure of the dwelling, or treat wood or combustible material used in roofs, siding, decking, or trim with UL-approved fire-retardant chemicals. Plant fire-resistant shrubs and trees, such as hardwood trees (less flammable than pine, evergreen, eucalyptus or fir trees). Inspect chimneys at least once a year. 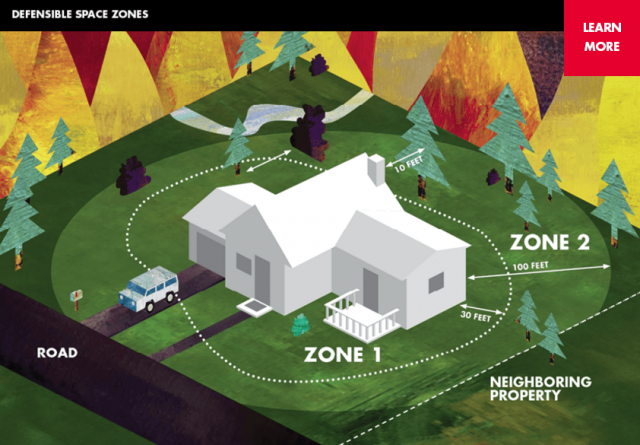 To further protect your home, you need to create a 30- to 100-foot safety zone around your home. This will help keep the fire contained away from your home, as there are fewer materials to catch fire and reach any structures. Clear all plant debris , including dead branches, leaves, and other rubbish away from the home. We have mandatory brush clearing which is monitored by the local fire station. 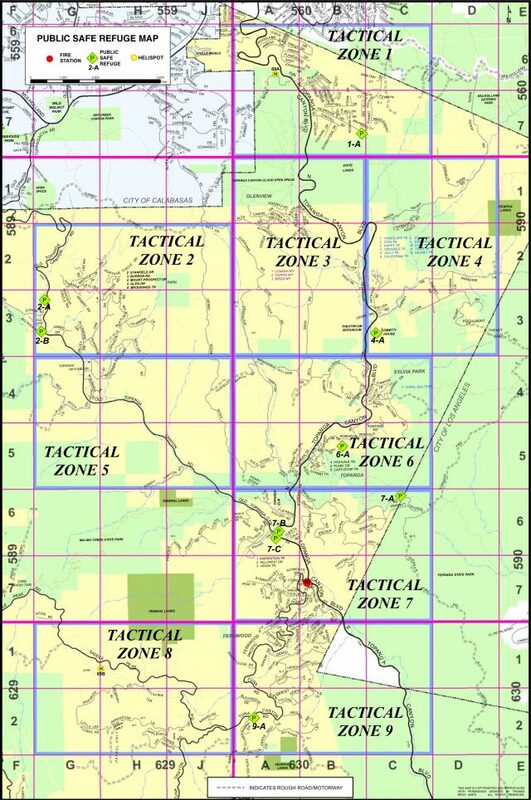 You can check and see what your safety zone distance is for your property. Locate where your home is in this Topanga fire safety map. 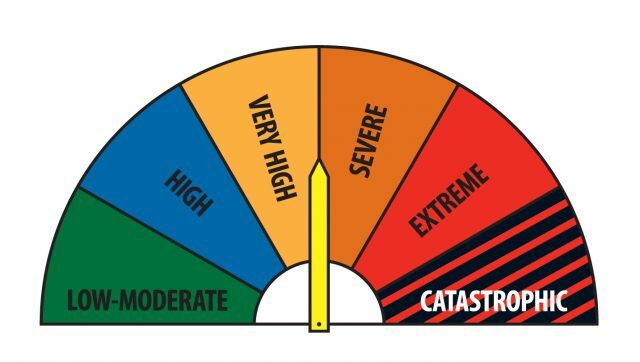 If any evacuations are required, it’s good to know which zone you are in. In the event of a fire, it’s best to remain calm and trust your plan. Evacuate as soon as possible, keep in contact with your family, and keep a radio and phone on so you have the latest updates.